Beginning in early March, a picturesque canopy of orange, yellow, and purple wildflowers blanketed California’s deserts and inland valleys. Thanks to more than seven inches of rain since July of 2018, this was one of the biggest blooms in two decades! 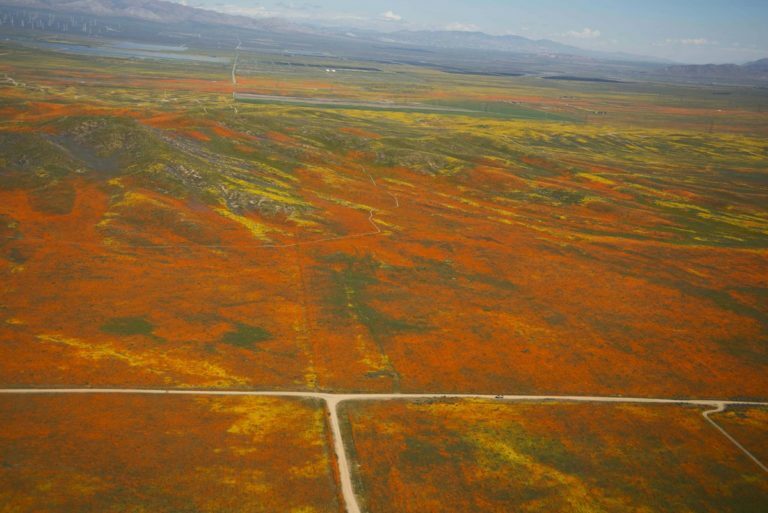 California nature guide author Ann Marie Brown notes that super blooms tend to happen once a decade, so this was even more unusual to have two occur in one decade. As such, tourists and locals alike showed up in droves to see the remarkable, colorful display. In fact, the Walker Canyon Super Bloom caused traffic on Interstate 15 to back up almost 20 miles at times. 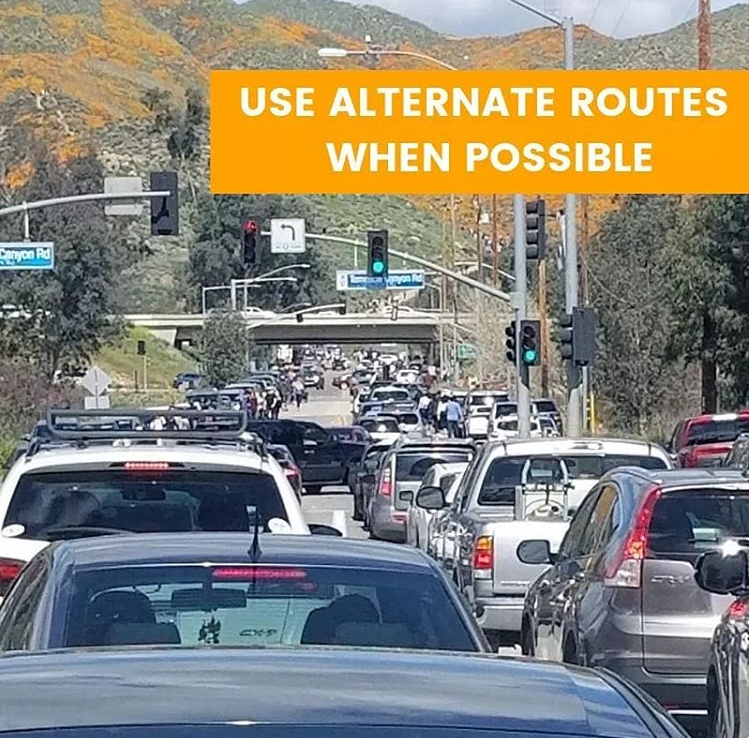 The City of Lake Elsinore took to social media to encourage locals to choose alternative routes for certain streets most impacted by the unexpected traffic. 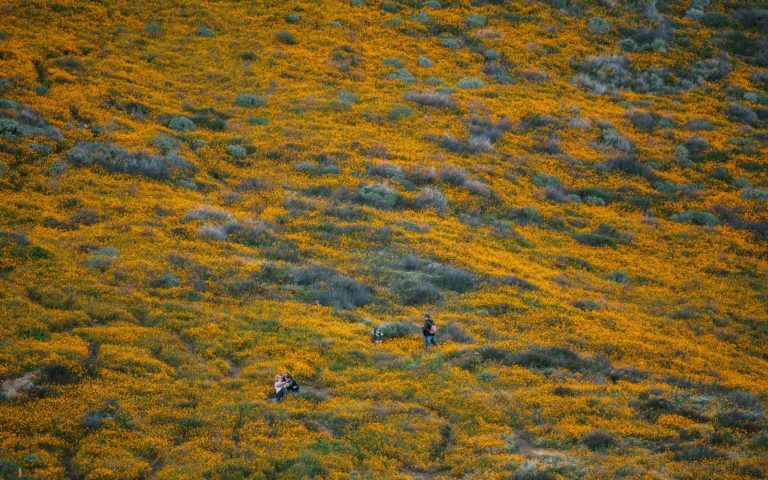 The city of Lake Elsinore has declared that the Super Bloom came to an end yesterday after several weeks of increasing temperatures diminished the Super Bloom substantially. Just under 5,000 visitors used the Walker Canyon shuttle last weekend – less than half the people from the previous weekend. Although the peak viewing time in the desert and coastal regions of California is nearly over, don’t lose hope that you have missed your chance at viewing this gorgeous site! In fact, the peak season has yet to begin in the San Francisco Bay area (beginning in late April! ), high Sierras, and Shasta Cascade. Summer wildflower hikes are popular in the Sierra, where one can spot western peonies, pink shooting stars, and – if you catch its approximately week-long bloom – a sea of blue camas. The latest wildflower season begins in mid-July in Lassen Volcanic National Park where snow can linger far into the summer. It’s important for visitors to remember to stay on trails to avoid crushing the delicate flowers. Authorities are also advising visitors to leave dogs, bikes, and drones at home.